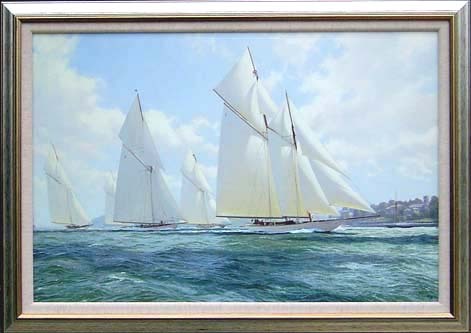 Westward reaching through Cowes Roads - stretched and framed in distressed silver gilt with a canvas slip. These superb editions are made on the highest-quality artist's canvas by the goutleette method, and varnished, to give a fine finish very similar to that of an original painting. Each new release is strictly limited to an edition size of 50 copies on canvas and is printed using the high quality gouttelette® process. Every copy is individually checked before it is numbered by hand. Each print is also accompanied by a numbered Certificate of Authenticity, which is signed by Steven Dews. Born in Yorkshire in 1949, Steven Dews's meteoric rise to success from distinctly unpromising beginnings should be an inspiration to all young artists; he failed his Art A Level and then walked out of a Fine Arts Degree course after only a few weeks because of his disillusionment with the teaching methods, yet his work has now placed him at the pinnacle of the marine art world. His love affair with art and the sea began at the age of 5, when he had a picture of a ship displayed on the wall at St Johns Infant School. He inherited his passion for ships and the sea from his grandfather, who was an Assistant Harbour Master in Hull. Steven Dews built up an astonishing portfolio for his first exhibition in 1976 and, on the exhibitions first night, virtually his entire collection was sold. The following year he held an exhibition in San Francisco which also sold out to great critical acclaim and, since then, Steven Dews has continued exhibiting regularly at leading galleries in London and throughout the world. He is now commissioned for several years in advance. 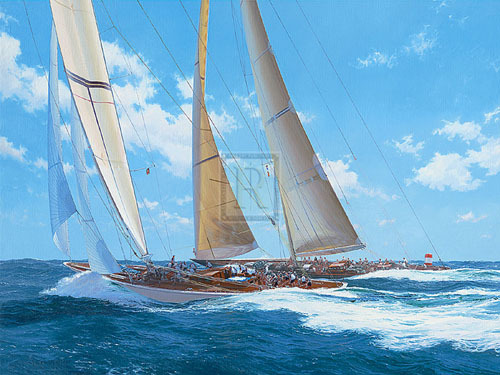 Confirmation of his pre-eminence came in the Sothebys sale of Maritime Art in London in 1999, where his original, entitled Off Cowes, sold for the phenomenal price of £89,500 ($165,000). This result followed on quickly from the sale at auction in 1998 of the Steven Dews painting An Opportune Breeze from the South East for £52,800. His spectacular canvas, The Battle of Trafalgar, reached a new world record price for the artist when it was auctioned in Bond Street, London, in the summer of 2005. The eventual buyer paid over £95,000 for this painting (approximately US$170,000), which was the highlight of a day-long sale to celebrate the 200th anniversary of Nelsons great victory at Trafalgar. The original painting is one of the largest the artist has ever created, with dimensions of 40 x 66; the painting took seven years from commission to final completion. It has also been published as a limited edition print in seven formats across both paper and canvas. In December 2006, his record price was broken again when the painting Westward Reaching Through Cowes Roads sold at Sothebys in London for £120,000, double its pre-sale estimate. Almost fifty of his limited editions have now been published, most of which have long been sold out, and his work is avidly collected around the world. 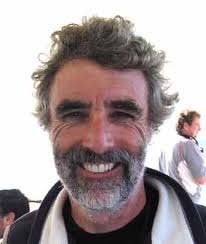 Steven Dews currently lives in Australia and intends to sail around the world in his new boat, which is currently being built. Above all, he lives and loves the subject he paints. You can commission an original painting by Steven Dews. Please email jt@artmarine.co.uk for details. All images in this gallery are copyright Felix Rosenstiel's Widow and Son Ltd. Any reproduction, transmission, manipulation, display or other usage is prohibited without permission of the copyright owners.